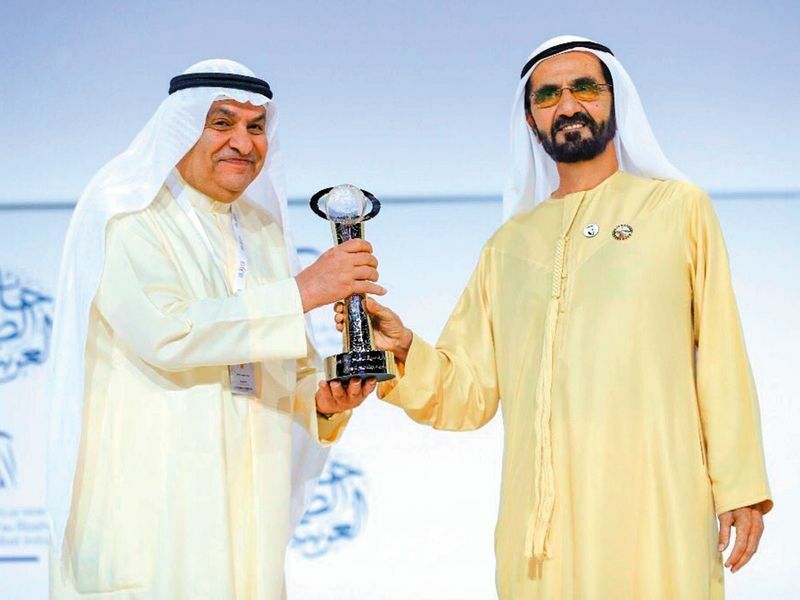 His Highness Shaikh Mohammad Bin Rashid Al Maktoum, Vice-President and Prime Minister of the UAE and Ruler of Dubai, and also patron of the award attended the ceremony at Dubai World Trade Centre. Shaikh Mohammad was also accompanied by Shaikh Maktoum Bin Mohammad Bin Rashid Al Maktoum, Deputy Ruler of Dubai, and Shaikh Mansour Bin Mohammad Bin Rashid Al Maktoum. The Arab Journalist Award celebrated distinction in 13 different categories representing print and online media, whittling down the winners from thousands of nominations. The winners represented daily newspapers, magazines, online web portals, and media organisations from the Arab World. 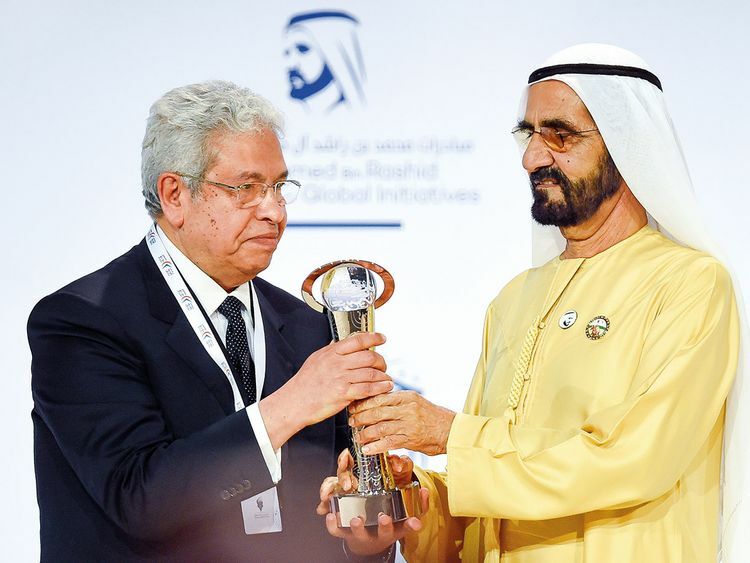 Shaikh Mohammad honoured the Chairman of the Board of the Egyptian newspaper Al Masry Al Youm, Dr Abdul Moneim Saeed with the Best Column Award. He also honoured Mohammad Jasem Al Saqr, Founder and Publisher of Kuwaiti daily newspaper ‘Al Jarida’ with the Media Personality of the Year award. The award ceremony started with a short video about recent events in the Arab world. Media personalities across the Arab world were called on stage to honour each of the other winners. Al Bayan newspaper was awarded with the Smart Journalism Award for using advanced technologies in promoting content, while its reporter Abdulhay Mohammad was awarded the Economic Journalism Award. Three winners took home the ‘Young journalist’ award from different Egyptian news agencies. During the ceremony, Arabic singer Latifa took the stage to sing the lyrics of a song written by Shaikh Mohammad, which speaks out against terrorism and suffering. Since inception, the Arab Journalism Award has honoured 260 talents in the media industry from across the Arab region. The awards took place during the 18th edition of the Arab Media Forum, which hosted media personalities and prominent industry leaders focused on tackling the future of journalism. Held under the theme ‘Arab Media: From Now to the Future’, the two-day forum featured over 75 speakers and 200 prominent media figures representing more than 20 countries from across the Arab region and the world. The high-profile event, which was organised by the Dubai Press Club, explored a range of new trends that have contributed to the advancement of the industry, in addition to showcasing new technologies that will play a key role in the global development of the industry. • Investigative Reporting Award: Assad Al Zilzali, Iraqi newspaper Al Alam Al Jadid. • Cultural Journalism Award: Sayed Mahmoud, Al Ahram Al Arabi magazine, Egypt. • Humanitarian Journalism Award: Eman Hana, from Youm 7 newspaper, Egypt. • Economic Journalism Award: Abdulhay Mohammad, Al Bayan newspaper, UAE. • Photojournalism Award: Ebrahim Abu Mustapha from Reuters. • Outstanding Cartoonist Award: Yassir Al Ahmad, Makkah newspaper, Saudi Arabia. • Young Journalist Award: Mohammad Mahdi from Masrawi website, Ahmad Al Ameed from Al Watan newspaper Egypt, and Mohammad Salman, from Youm 7 newspaper Egypt. Who is Mohammad Jasim Al Saqr? A 67-year-old journalist and former member of the National Assembly of Kuwait and ex-chairman of the Arab Parliament. He graduated in economics from Whittier College in the US in 1975 and worked for eight years in banking and investment, before becoming a journalist in 1983. From here he served as editor in chief of daily newspaper Al Qabas until his election to parliament in 1999. In 1992 he was awarded the International Press Freedom Award of the Committee to Protect Journalists ‘for courageous reporting on political and human rights issues in the face of government threats of censorship and prosecution’.